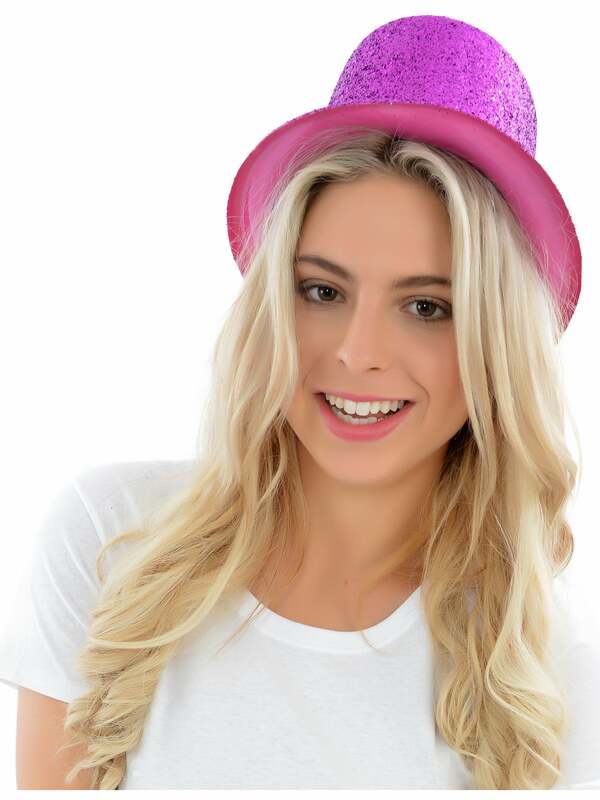 Wearing this fantastic Pink Glittery Top Hat, you'll be transported back to a time of Gangsters, their molls, speakeasies, jazz babies and everything burlesque! So make your hen's an offer they can't refuse by having a Gangster themed bachelorette party! This radiant top hat is completely covered in luxurious pink glitter. Why not add a pink necktie, pink braces, pink gloves, a T-Shirt for the Bride and the matching T-Shirts for the rest of the bachelorette party to complete your order?